A non-Jewish friend shared a reggae song with me recently, and I was moved by its lyrics and graceful passion. The lovely woman singing seemed to be on spiritual fire! As I listened carefully to the lyrics of this song, I found that, like many songs of this genre, they’re usually religious. I don’t know much reggae other than a bit of Bob Marley (and Matisyahu), but people seem drawn to it. Maybe it’s the tempo and style; maybe its the depth of the lyrics. Even if we don’t realize it, we are all searching for a deeper connection, for truth and passion, for G-d — whether it’s through music or something else. The term reggae comes from rege-rege, a Jamaican phrase meaning “rags or ragged clothing,” and is used to mean a raggedy style of music. The reggae genre came into being in the 1960s. So just 80 years ago — not that long really. To put it in perspective, Torah and mystical thought came into this world around 3,000 years ago. And I came to it 12 years ago, searching for that beauty and richness in life most of us seek. The deeper I dig, the more I find and realize that it’s pretty much the foundation for all elevated, mindful living. Probably even reggae. Though most of Torah’s beauty and deeper meaning, the sparks of the higher world, have been “lost” even to Jewish people. So it’s like a mission now to collect all these hidden sparks… sometimes from really low and dark places, and to bring them into being. Those sparks can be anywhere. Those sparks are within you. But, and this is a big, confusing BUT… Those sparks sometimes don’t seem to shine in Jewish schools or in modern-day frum life in the U.S. Those sparks, that fire for serving G-d, is sometimes not even found in synagogues except maybe within a few knowing beings. And that makes it painful, deeply painful, discovering that the light I was seeking IS in Torah, BUT it’s still often trapped. Even in a Torah community, even in Torah schools, it can still be trapped. And sometimes it doesn’t even feel like we are collectively as a community trying to reach for those sparks. Have we forgotten our mission?! It’s seemingly lost somehow in the minutiae of daily life, kosher symbols and skirt lengths and warming trays. Keep doing those things, of course. Keep serving G-d through the mundane yet holy mitzvahs of daily life. But do it with joy. Do it with FIRE. And please, PLEASE, teach it not just with tests and memorization… teach it with love and enthusiasm! Kids know truth when they hear it. 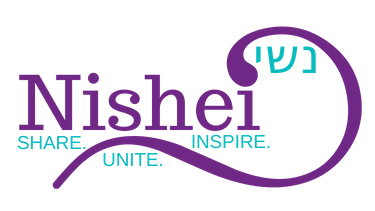 Infuse your Torah lessons with the deep, hidden magic and inspiration they deserve. As I read this to my teenage daugther who has experienced the educational system for over a decade, her eyes lit up. “You should share that with other people,” she said. “When you talk fast like that, the way your words are coming out, it makes it easy to listen to and understand what you’re saying.” Yes! Words from the heart enter the heart. Tests and pages and pages of memorization seem to take the light and love out of it. TEACH LIKE YOUR HEART AND SOUL ARE ON FIRE! Teach like you’re an inspired music star! Let’s live inspired lives so we can be an example for our children and our students. Otherwise, they may turn away, seeking inspiration and authenticity elsewhere. Sparks are waiting for them, and us, in the most unexpected places — even in the classroom. We just have to remember to look for them — and to create them. Share your positive experiences with enlightened, inspired Torah education. How can we improve and grow? What are some concrete ways teachers are succeeding at giving over their magic in the classroom?